February 2009: S.O.S. received from struggling Christians in Dono-Manga, Chad. Hundreds are dying from waterborne diseases caused by the lack of clean drinking water. 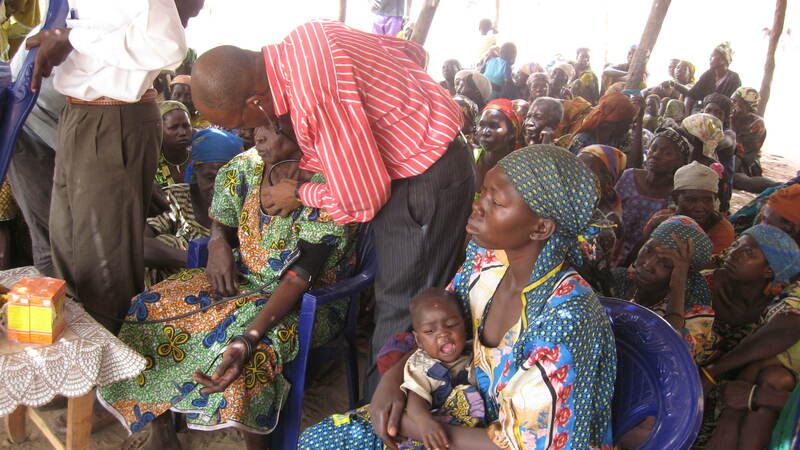 May 2009: Nigerian Christians conduct a Medical Mission Campaign. 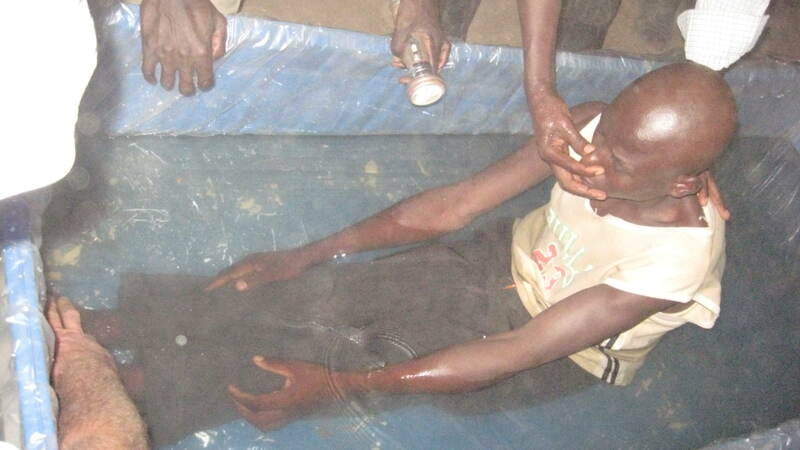 Many receive medical attention and 19 are baptized into Christ. 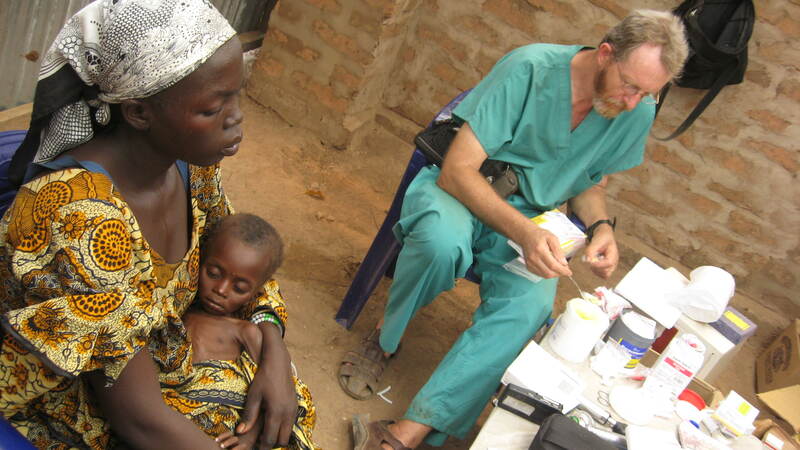 November 2009: Medical Missions Campaign and Mission to repair out-of-service wells. 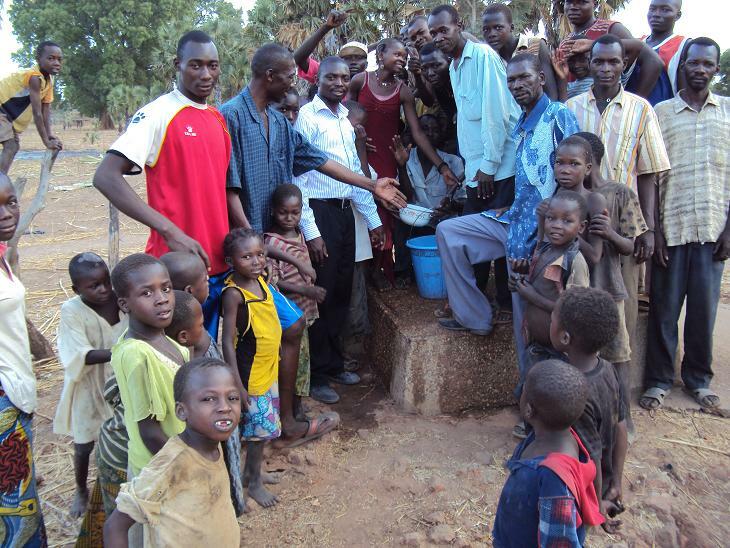 10 wells repaired and 14 baptized into Christ. 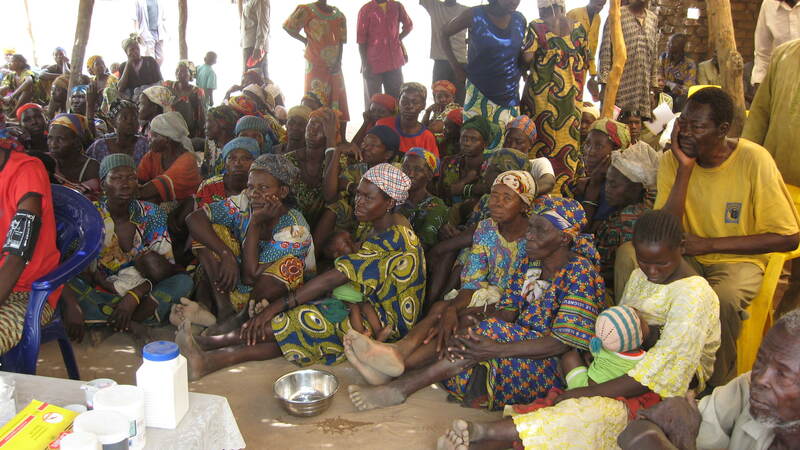 March 2010: Medical/Evangelist/Agricultural Training Campaign: Two Doctors treat hundreds, 20 trainees and 20 observers complete the dry season farming through drip irrigation training. 12 baptized into Christ. 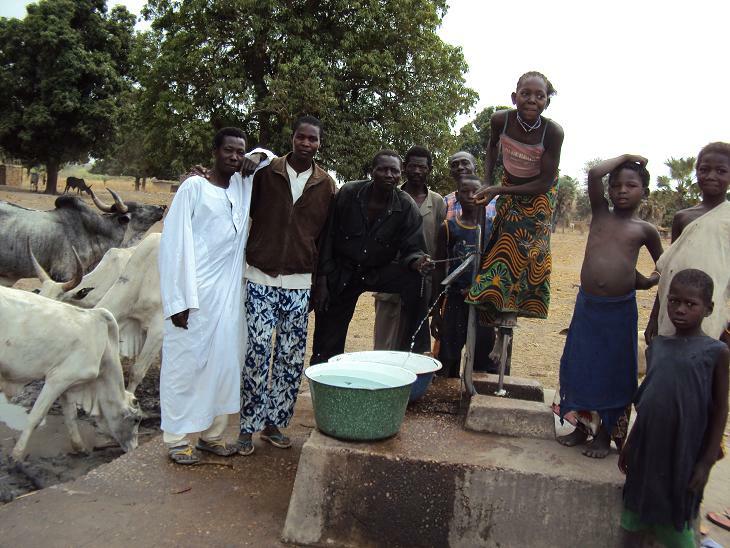 April—May 2010: The final 6 out-of-services wells repaired and 15 villages receive a new well. This will mean that 31 broken or non-existent wells are now providing clean water for thousands of people. Categories: New Wells, Water, Well Repair | Tags: Water, Wells | Permalink. 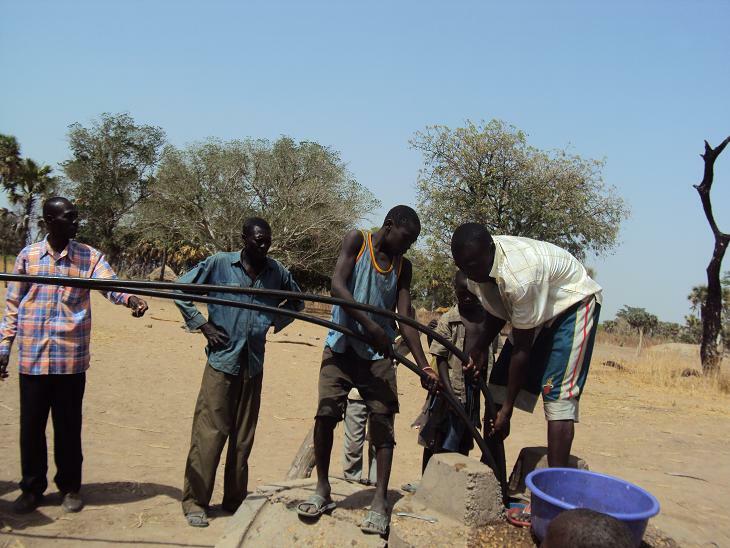 After delays beyond our control, Hope Springs Representative Ebenezer Udofia was able to leave April 12th for Dono-Manga, Chad, with donated funds in hand to schedule drilling of fifteen new wells and repair of the final six out-of-service wells. Ebenezer traveled through Cameroon to N’Djamena, the capitol city of Chad. He was met by Pierre Rimorbe, the Evangelist responsible for establishing the eight churches we have been working with over the past year. 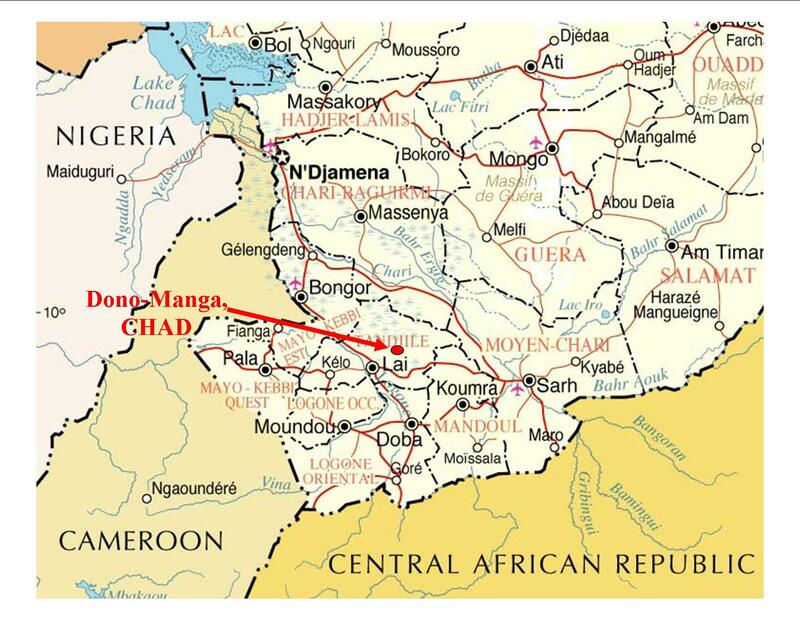 They made the long journey to Lai, a city in southern Chad, where the well drilling company is located. A meeting was held with the drilling company and the local bank. Arrangements were then completed to drill the fifteen new wells. The bank will hold all funds until they receive confirmation that the new wells have been completed. Arrangements were also made at the same time for the repair of the six out-of-service wells. A meeting was then scheduled to be held in Dono-Manga Sunday April 18th with drilling company officials and leaders from the fifteen villages where the new wells will be located. Scheduled repairs on the six out-of-service wells were completed on Friday the 16th and Saturday the 17th. On Sunday the 18th, all parties arrived at the Church’s assembly hall for the meeting as scheduled. 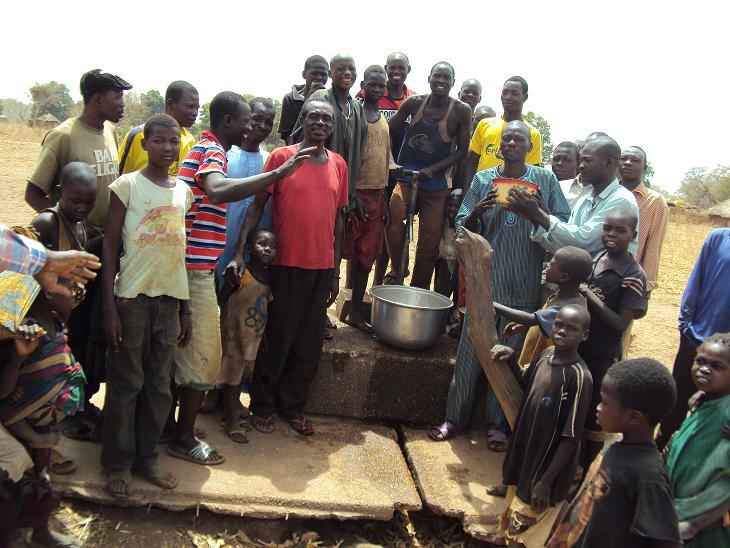 Each of the village leaders was given the responsibility of appointing a seven-man committee to see to the maintenance and prevention of misuse of the well for their village. Officials from the drilling company will educate the committee concerning necessary maintenance and upkeep for their well at the time each is drilled. 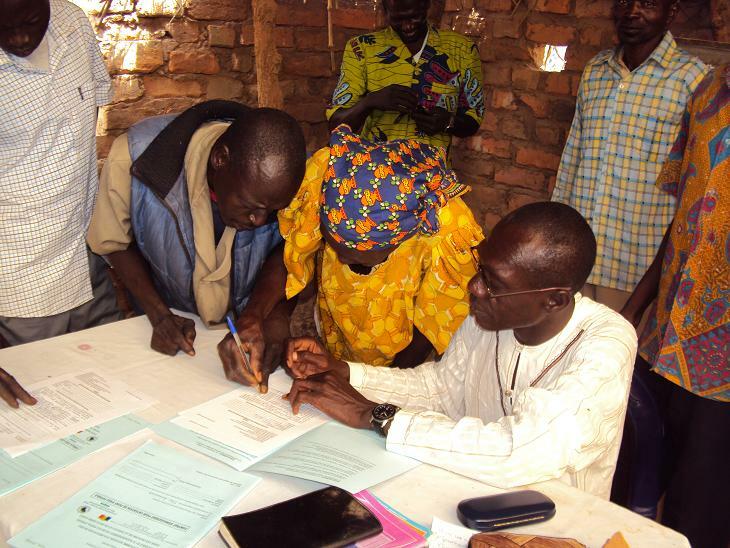 At the end of the meeting, village leaders, along with government officials, signed a written agreement to this effect. As soon as their present obligations are finished, the well drilling company will begin drilling in Dono-Manga. They anticipate being able to begin drilling by the end of April. 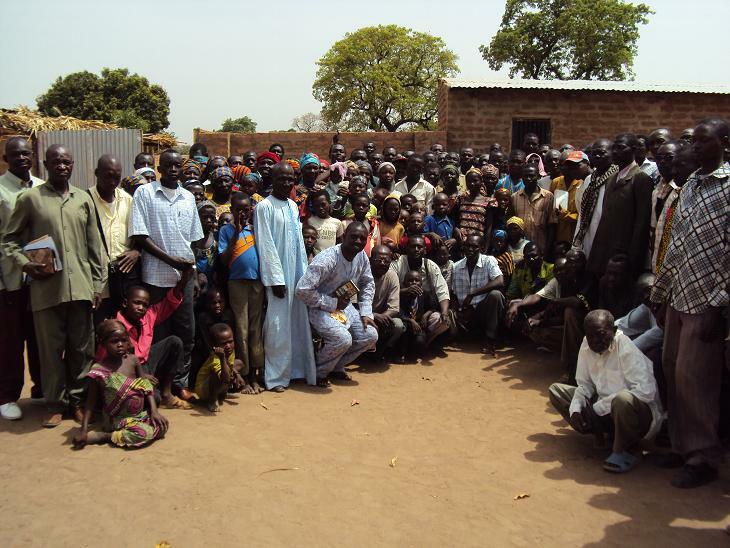 The village leaders attending the meeting unanimously expressed their appreciation to Hope Springs International and asked God to bless each of the donors who through their sacrifices are making these wells possible. One of the high points of this journey to Dono-Manga happened as the meeting closed and five of the village leaders made a request for someone to come and establish a church in their village. Presently there are only two full-time evangelists serving the eight churches in Dono-Manga. There are two more men in school but they will not finish their education for another year or so. So after the meeting ended Ebenezer gathered the brethren together and they planned a two-week follow-up campaign that will be scheduled to coincide with the drilling operation. Experienced preachers from Nigeria will return with Ebenezer to work with the local brethren in the establishment of new churches and the training of the local Christians to work with new Christians as they are reached with the message of Christ. Please join with us in praying for God to provide for laborers for His harvest. The fields are indeed ready for harvest in Dono-Manga, Chad. Similar situations like this must have happened in the first century as the Gospel spread so quickly all over the world. When the love of Christ is seen being lived out in the flesh, it causes a hunger in the hearts of men and women to want to know more. Many of these wells had not been used in years. Your gifts to Hope Springs are really making a difference. Praise God for your open hearts. Categories: New Wells, Water, Well Repair | Permalink. Children have an honest idealism that cause them to see problems and challenges as having very simple solutions. They often challenge us adults with their spontaneous compassion and desire to do something about the needs of the suffering and hurting in our world. Nathaniel Hamm is one such young man. Last year at this time Nathaniel, the 10-year-old son of Darin Hamm, Teaching Pastor for the New Heights Church in Owasso, Oklahoma, heard about the street children that we are working with through our farm in Maiduguri, Nigeria. He heard how we train these young people, many about his age, in the skills of drip irrigation that enable street children to return to their families and help provide food year round in this aired desert region of Northern Nigeria. He also learned of our constant need for seed for our training farm and a need for seed to send home with these trainees to begin their own farming efforts. What follows is Nathaniel’s story in his own words. Read and be blessed as you see what a 10 year old can do for the cause of Christ. I came to dad and complained that people should do more. I wanted him to get something done. He asked me why I didn’t do something. He told me about Arewa Aid (Now Hope Springs) and said they could use seeds to help people in Africa. He explained about irrigation and what was happening and we agreed that I could do something to help. So I asked my school principal if I could try to get other kids to raise seeds. She told me that I needed to talk to the Superintendent so my dad helped me send them an email. Oh, I also emailed the man from Arewa Aid, Lee, to see if this would help and be a good idea. He said yes and gave me a list of seeds. So the school said I could set up a table for a week at my school. The week came and I set up a table and made poster signs with information about the seeds and what they would be used for. I had bags that my dad gave me and they each had a flyer with the information. I also had my dad tell people at church and he put something in our church bulletin. In the end I collected seeds from people at my school and from people in my church. I boxed up the seeds and after finding the right address my dad took me to the post office where we mailed the seeds. I hope it helps those kids on the street find a way to stay with their family. I hope they know it is because of Jesus that this was done. Thanks for letting me help. Through Nathaniel’s efforts we shipped a box of 234 packets of seeds to Nigeria. There are many ways to help, both large and small, which allow you to make a difference in the lives of people today. Many schools allow such projects as the one Nathaniel organized. 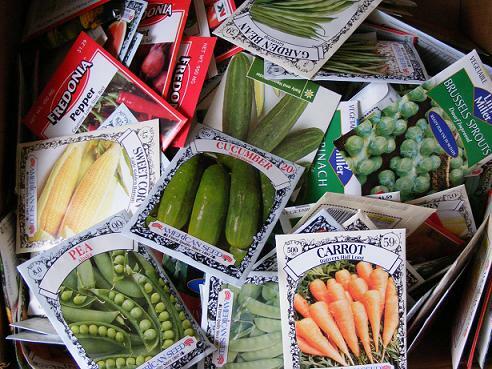 Others might set up a seed donation box in a Bible Class or do a church wide project to raise seed. If you would like be a part of our “2010 Need For Seed” program, drop me a note at rabboniblog@yahoo.com. We will be glad to provide information and assistance. Store shelves are stocked with plenty of seed this time of year. Help us take advantage of this availability. Here is a way you can make a significant difference. Why not talk to store owners about donating all or a portion of unsold seed at the end of this planting season. With our drip irrigation program we can use seed throughout the year. Categories: Drip Irrigation Farming, Seed | Tags: Seed | Permalink. 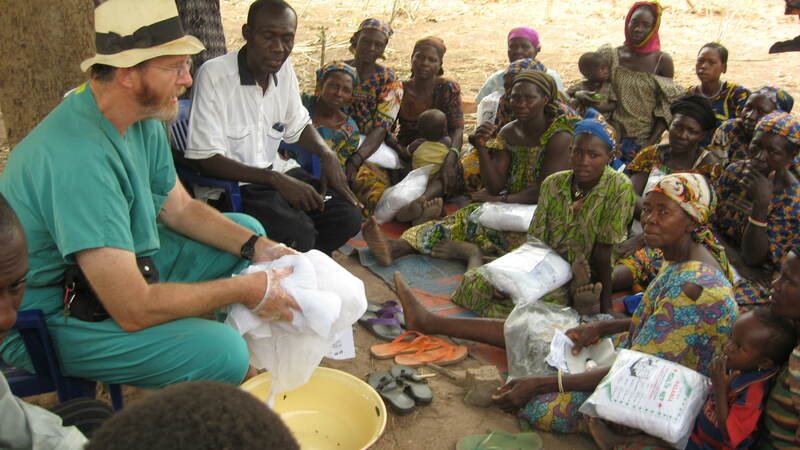 A Medical Missions campaign team, sponsored by Healing Hands International, recently returned from Dono-Manga, Chad. Among the 10 Team members were Steve Worley, Jos School of Biblical Studies; Dr. Bob Whittaker, Nigerian Christian Hospital; Dr. Emmanuel Eni, Maiduguri University Hospital and a Deacon with the Wulari Jerusalem Church of Christ; and Ebenezer Udofia, representative for Healing Hands International/Hope Springs International. The medical team held a clinic to meet the needs of over 130 villagers. 160+ mosquito nets were distributed with material to treat the nets. 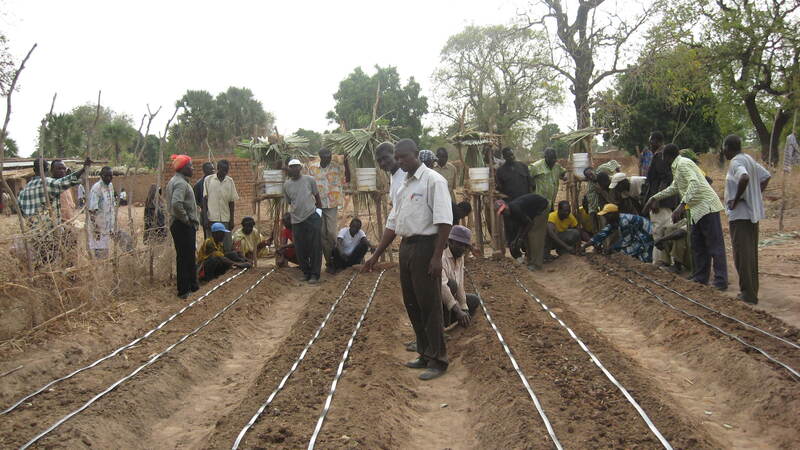 A drip irrigation workshop was conducted with 20 students and 20 observers attending. Learning the skills of dry season farming will enable these villagers to raise crops year round and not just during the short 3 month rainy season. While the journey was filled with challenges of vehicle mechanical problems, oppressive heat, and travel over barely passable roads, many were helped and 12 precious souls came to Christ and were baptized. Hope Springs International is now making arrangements to drill 15 new wells and repair 6 wells that have been out-of-service for years in Dono-Manga. Details concerning this phase of our work in Dono-Manga will be forth coming, so check back often! Categories: Chad, Dono-Manga, Drip Irrigation Farming, Medical Missions Campaign | Tags: Agriculture Campaign, Medical Campaign | Permalink. The Hole In Our Gospel – A Must Read! When Richard Stearns was in his twenties, a friend of his who was in seminary conducted an experiment. He went through all 66 books of the Bible and cut out every verse that dealt with poverty, wealth, justice and oppression. The result was a volume in tatters that barely held together. When he would speak to people, he would hold up this Bible and say it represented all the scriptures we tend to ignore. His Bible was literally full of holes. Stearns, who serves as president of World Vision – a Christian humanitarian organization, says that if your personal faith in Christ has no positive outward expression, then your faith has a hole in it. 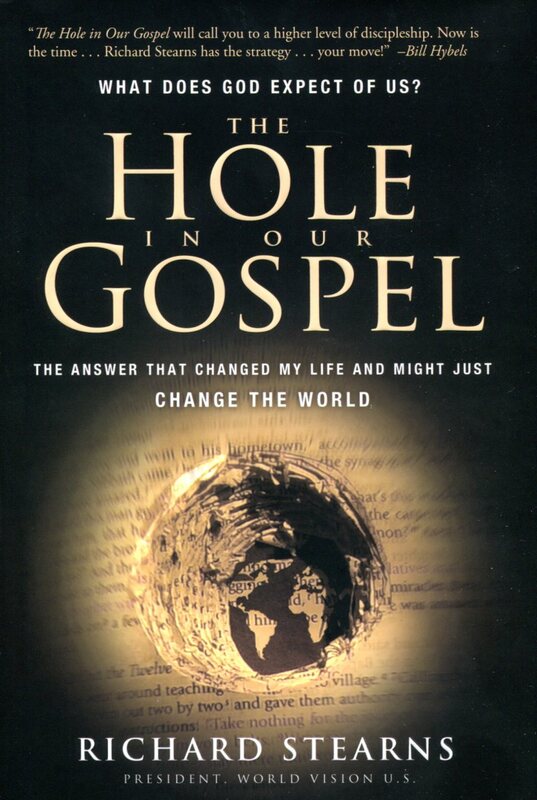 In his recent book, The Hole in our Gospel, Stearns admits that his Bible was full of holes as well. Prior to becoming president of World Vision, he flourished in the corporate world. At the age of 33, he was named president of Parker Brothers Games. Prior to his calling to World Vision, he had been the CEO of Lenox, Inc., America’s fine tableware and gift company, for several years. With the support of his wife and five children, he left a 10-bedroom house, a nice company car and other perks and also took a reduction in salary of 75%. His friends thought he was crazy. But this book is not meant to focus on Stearns’ journey. That is just an example of how Stearns is trying to live his message. “Jesus reserved some of His strongest words for those who professed to be His followers but whose lives showed no evidence of their faith,” writes Stearns. For example, “Why do you call me, ‘Lord, Lord’ and do not do what I say?” – Luke 6:46 Stearns argues that faith and works must be put back together again. We can’t continue to regard our faith as our “ticket” to the next life. Most of the book deals with the problem of poverty and the growing gap between the richest and the poorest people on earth. While statistics are provided and documented, Stearns believes they seem to excuse our inaction so he augments those with personal stories of real people with real needs. If your income is $25,000 per year, you are wealthier than approximately 90 percent of the world’s population. If you make $50,000 a year, you are wealthier than 99% of the world. The average giving of American church members in 2005 was just 2.58 percent of their income, and 98% of this money stayed in the US. “If every American churchgoer would tithe, we could literally change the world and eliminate the most extreme poverty on the planet for more than a billion people,” writes Stearns. Categories: Book Review | Tags: Book Review | Permalink. Arewa Aid Inc./Hope Springs Intl. You Can Give Life For Less Than You Think! Share this post and help us spread the word. This would be a great fundraising project for a church, youth group, work group, individual or corporate group. Village of Landongor… on What Can One Person Do?